Thrilled to have been invited to talk to the School Librarians (SLANZA - http://www.slanza.org.nz) in Auckland last night at their end of year function. Thank you for being such a delightful and generous audience. I was reminded what a special group of book people librarians are! I am thrilled to have been invited to talk at 'Bloody Scotland' in September. I'll be sharing the stage with some awesome authors. Watch this space! Even though I have now been writing for more than fourteen years, I still pinch myself whenever I learn that the characters I have spent many hours creating in my study, have actually walked out into the world and are meeting people . . . Recently, I was both delighted and honoured to learn that an English class at Epsom Girls' Grammar are studying 'The Last Time We Spoke' as part of their curriculum. Yesterday I had the pleasure and privilege of visiting EGGS to discuss writing and the novel in more detail with the students. Join us for an inspiring afternoon of writing workshops. I am very much looking forward to discussing how to write a compelling 'crime' novel. 3.45pm- 4.45pm. THE LAST TIME WE SPOKE wins Ngaio Marsh Award for Best Crime Novel 2017. Wonderful morning exploring how to create authentic characters in fiction with this group of inspired young writers. 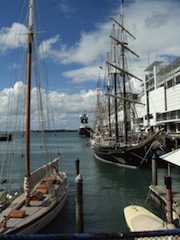 An interview with Nix Whittaker on her website which showcases New Zealand writing. Delighted to be sharing the stage at the Auckland Writer's Festival with Jonathan Cullinane, Kelly Ana More and David Schmidt. Join us for a session of readings from our most recent works as we explore the many dimensions of crime. I'll be discussing my novel, 'The Last Time We Spoke', at the beautiful Takapuna Library on WED 8th MARCH at 6pm. If you're free, pop along for a glass of wine and some book talk. Be great to see you there!. Thrilled to learn that 'The Last Time We Spoke' has been shortlisted for the NZ Heritage Books and Writing award. Mark SUNDAY NOVEMBER 13th in your diaries!!!! BOOKS, CAKE, A GREAT CAUSE ... Come and indulge in a sumptuous high tea, listen to NZ authors share their stories, and help Hospice keep doing the wonderful work it does. An interview with the lovely Lynn Freeman about 'The Last Time We Spoke'. Article in the Irish Times: The Last Time We Spoke. The first USA review is in for 'Another Woman's Daughter'. 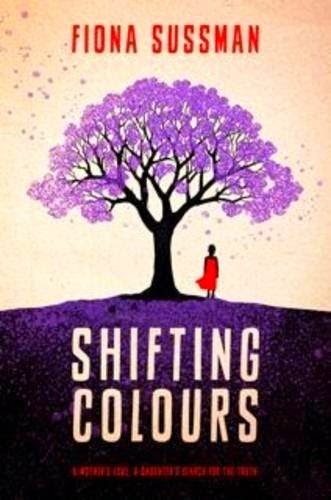 Very excited to learn that Shifting Colours is listed in Sainsbury's Best Debut Novels Collection for 2014! I'm delighted to be featuring in an event entitled History's Shadow, reading alongside authors Laurie Halse Anderson (US), Zia Haider Rahman (Bangladesh/UK) and Airini Beautrais (NZ). Friday 15th May 4pm - 4.50 pm, Limelight Room, Aotea Centre. Join us for what promises to be a fun morning in support of a great cause - the Animal Sanctuary. An interview with the lovely >Jeanette Thomas> of Good Morning TV> about 'Shifting Colours'. Fiona talks with Lynn Freeman about 'Shifting Colours' and lots more. 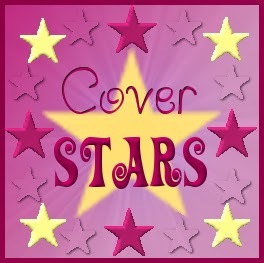 Find out a bit more about Fiona and her writing on Novel Kicks. Attending the Hay Literary Festival had been on my bucket list for a very long time. This year I was fortunate enough to be realise that dream! I was in the quaint market town of Hay-on-Wye in the Welsh Borders for seven whole days, soaking up the words of writers, scientists, actors, foodies, comedians and philosophers. If you'd like to read more about my experience at this fabulous festival, as well as my trip to the Loire Valley in France, go to my writer's Facebook page to see the blog I kept. The New Zealand Society of Authors (PEN NZ Inc) announces the winners of its inaugural E-Publishing prize offered with international publishing giant Kobo Writing Life. Two new authors have won the publishing chance of a lifetime, with the inaugural 2014 Kobo/NZ Authors E-Publishing Prize which will see their books professionally published by the Kobo Writing Life platform. Fiona Sussman is fiction winner with Sentenced, a gritty novel about disaffected youth in the New Zealand urban underbelly. Judges described Sentenced as a gripping, thought provoking story about a tough subject. Robin Sisley wins the non-fiction category with Eat the Wind about rescuing stallions from slaughter before the 1997 muster of the Kaimanawa wild horses. Judges commented that the manuscript stood out with lively writing which flowed naturally and a subject both exciting and surprising. The results of on-line reader voting on writing samples of the 10 finalists coincided with the decision of judges, which means both Sussman and Sisley win a Kobo reader as well as fully professional editing and digital publication. Kobo Writing Life operations manager Jodi White convened the judging panel. “Kobo is proud and very delighted to be a part of this Publishing Prize, and are excited to offer these authors the opportunity to publish a professional book, at such a value that the author probably could not afford to do on their own. Kobo’s panel of judges really enjoyed this and having the opportunity to be part of kick-starting an author’s career is truly something we value and believe in. "Shifting Colours is a powerful story of family ties, secrets and love. This intriguing novel is foremost about the relationship between Celia and her daughter Miriam and all the struggles and turmoil that come between them. Separated by land and sea, Celia and Miriam’s story begins in South Africa’s violent landscape and then continues in calm, quiet England. As you turn the pages, you are magnetised by the surprises, great details and the captivating writing that takes you into the heart and mind of the characters." IP eNews 45, Vol 12, No 1.